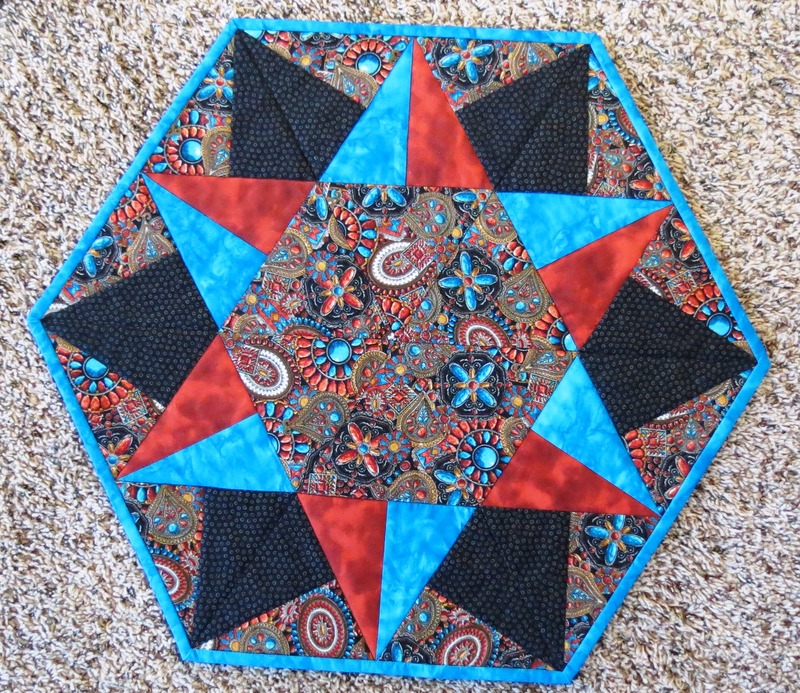 I decided that the recipient of this quilt would not want it the length it was in the pattern as that would not provide enough length for wrapping around oneself in the cocoon fashion that my kids like to do with quilts so I added two more rows to the original pattern which made this top finish at 80″ long, rather than 60″ like in the pattern. 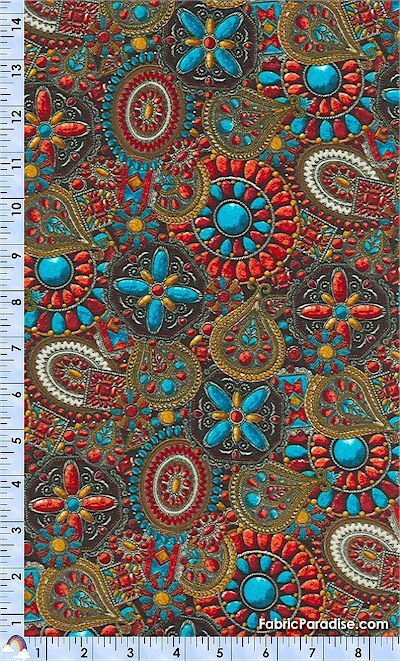 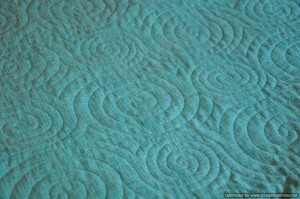 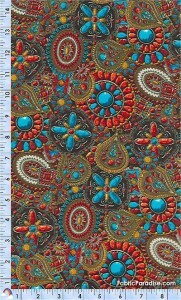 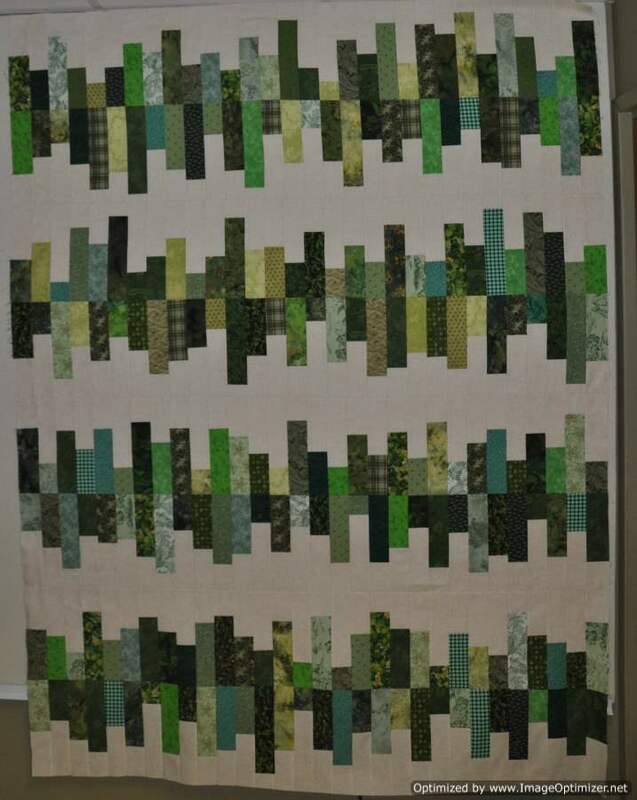 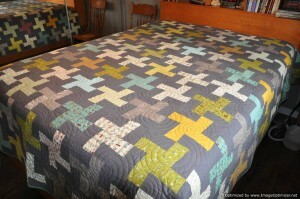 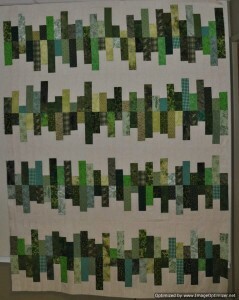 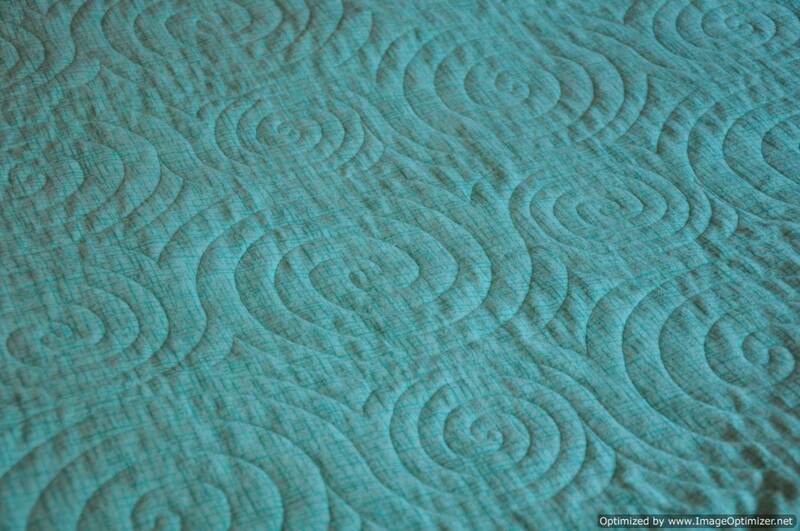 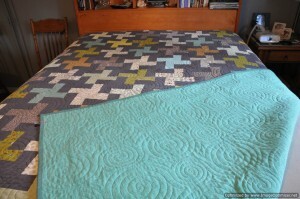 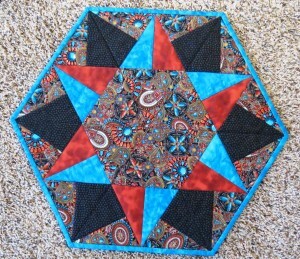 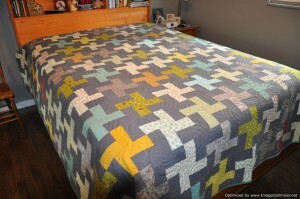 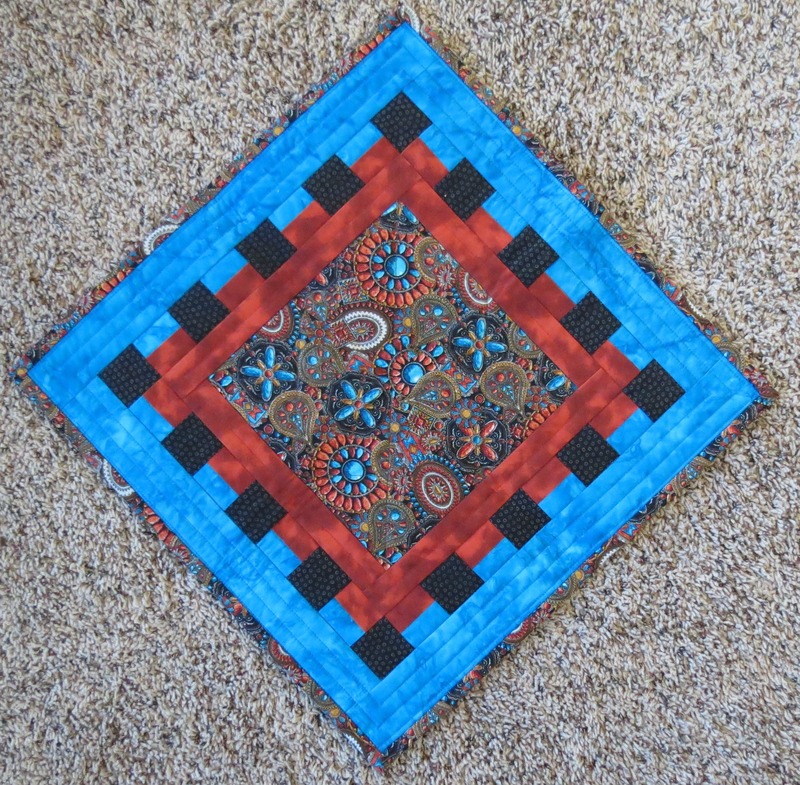 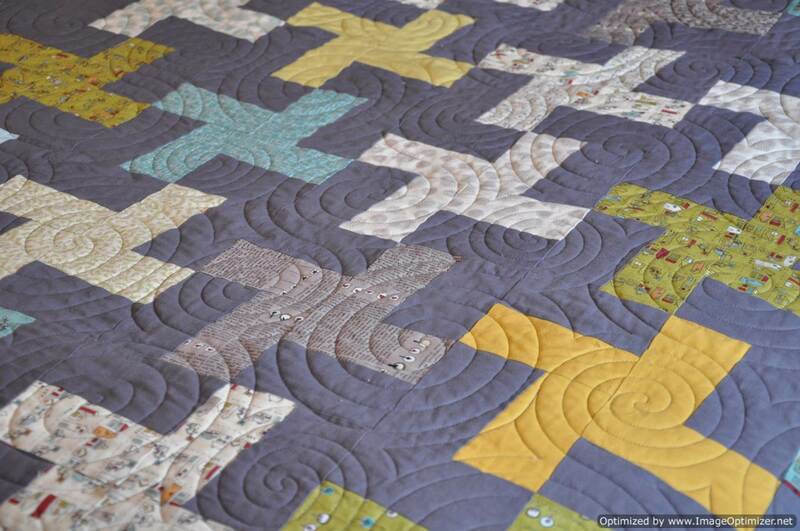 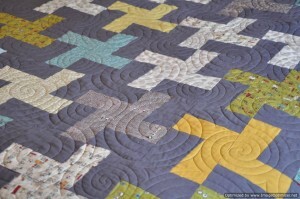 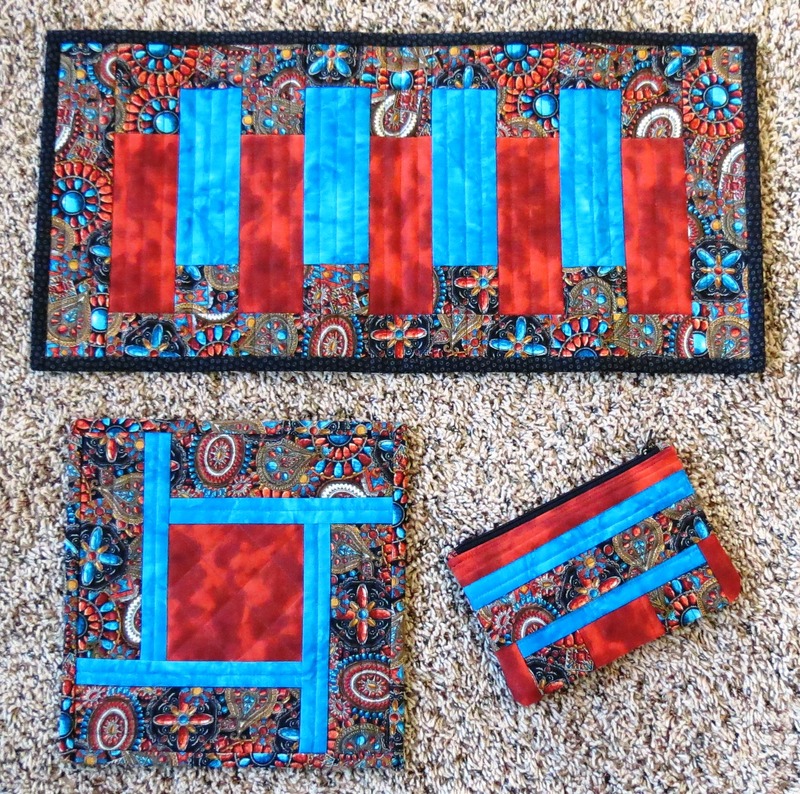 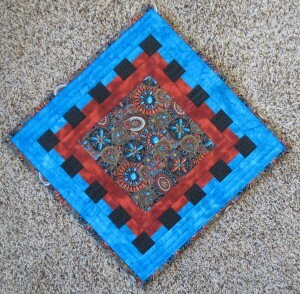 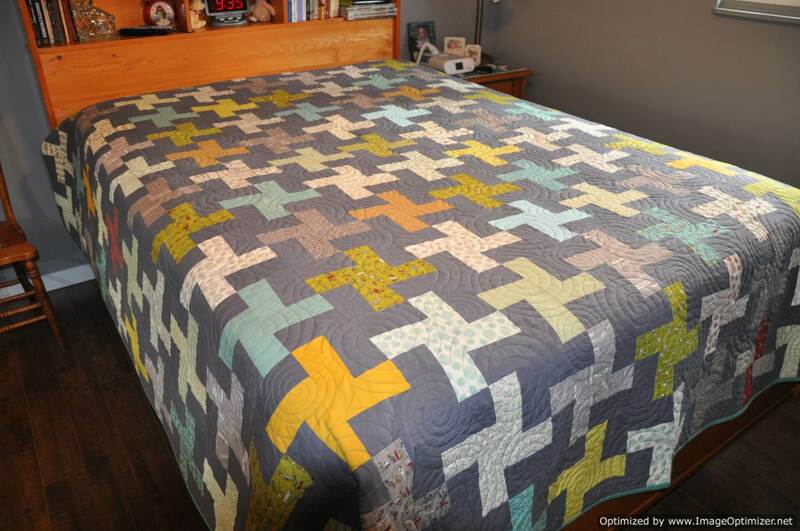 Next up will be to get this one quilted as it is needed as a gift for the end of June. Today was my MIL’s 85th birthday. 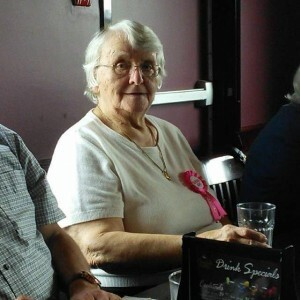 Family members took her out for lunch at a local restaurant to celebrate. 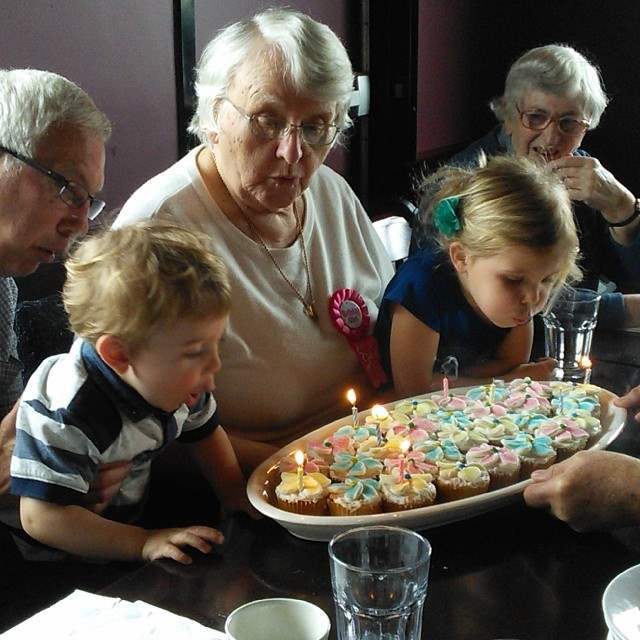 She had some help from the younger crowd to blow out the candles. 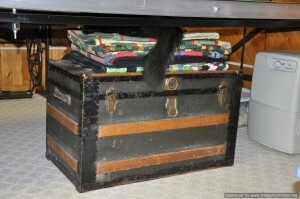 And just because it makes me smile…. 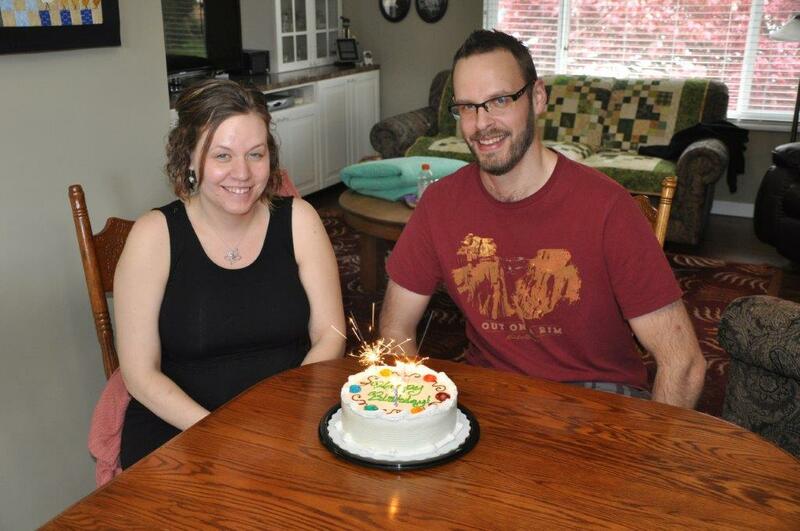 Today was our daughter’s birthday. When the kids were small, the tradition was that the birthday gal or guy got to pick the menu on the day of their birthday. Even though our daughter is married and has a home of her own, she still enjoys the tradition of coming home to celebrate her birthday supper. 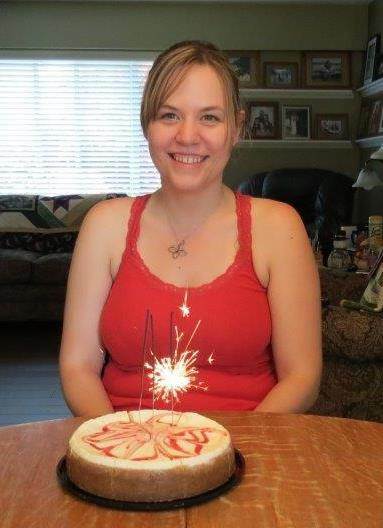 This year, it was chicken for supper and cheesecake for a birthday cake. 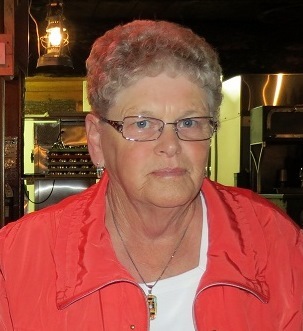 Here’s to many more birthday suppers in celebrations of the birthday gal! 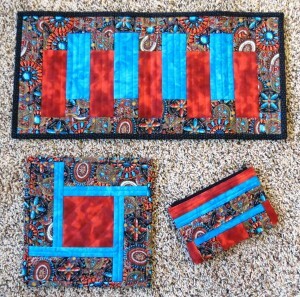 Today is my birthday. 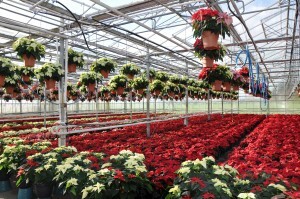 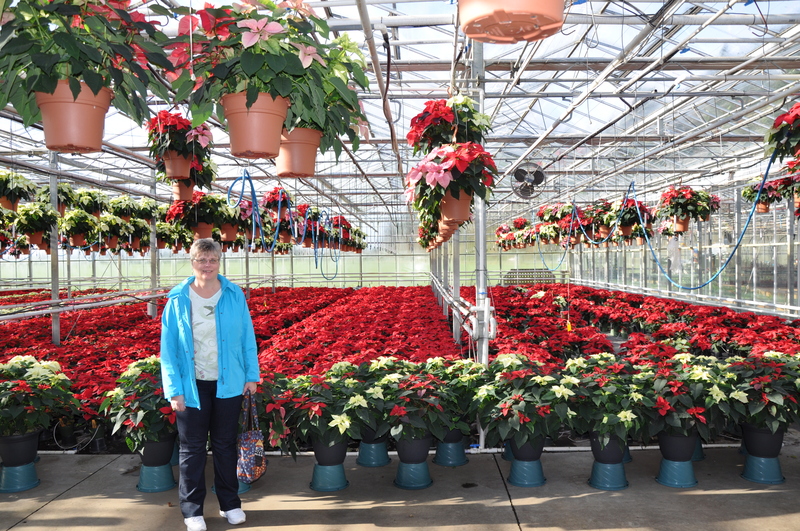 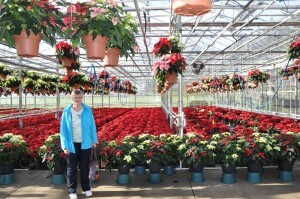 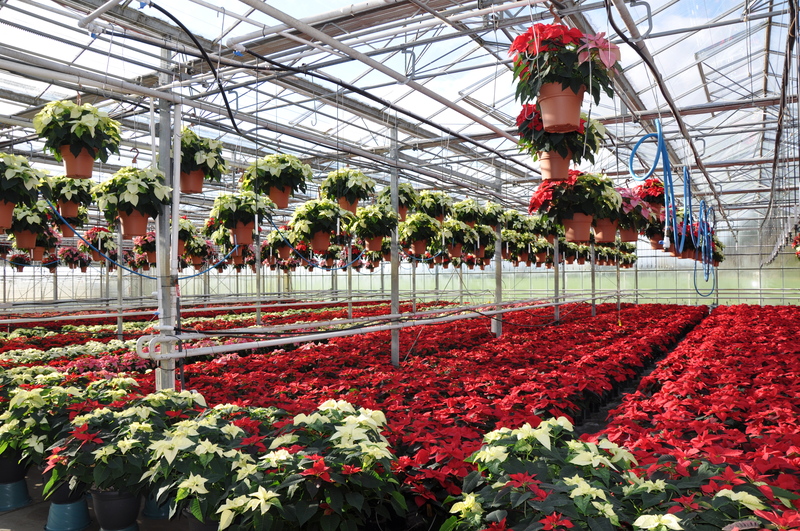 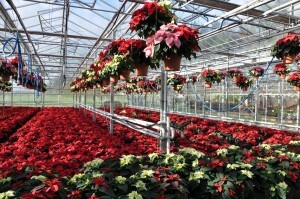 Today was also the Annual Poinsettia Open House at our local greenhouse. 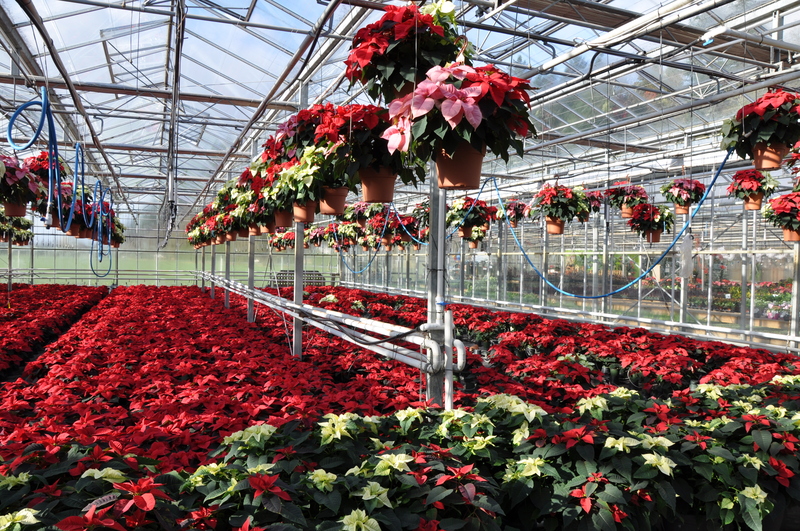 What a perfect way to spend the day–immersed in colour!